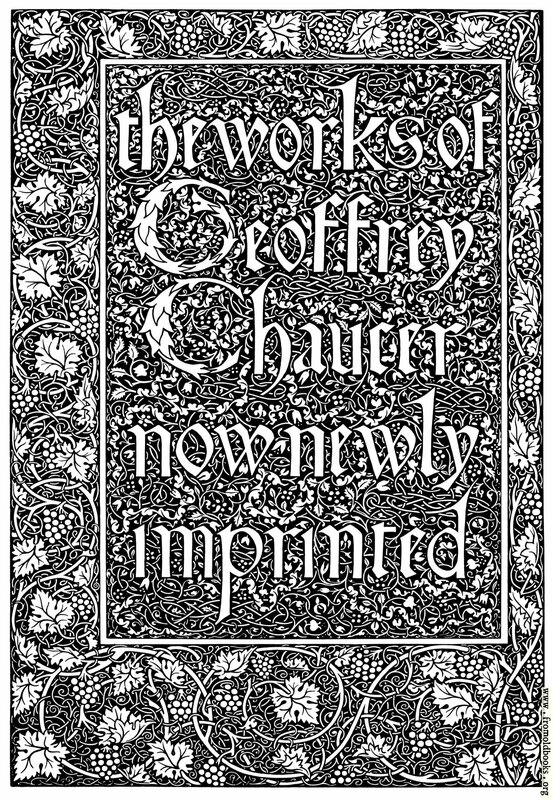 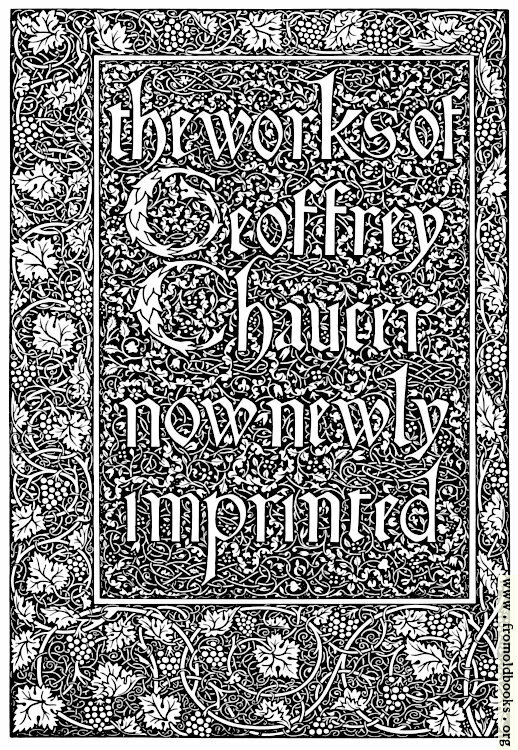 The title page from the Kelmscott edition of the works of Chaucer is, unusually, printed on a verso (i.e. 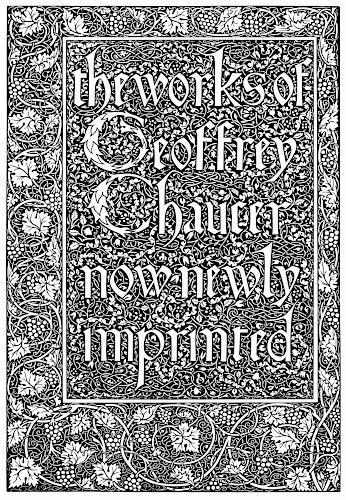 the left-hand page of a double-page opening), which is why the outer border is wider on the left. Note the dotless “i” in both places the last word. See also the outer border with an empty space inside.